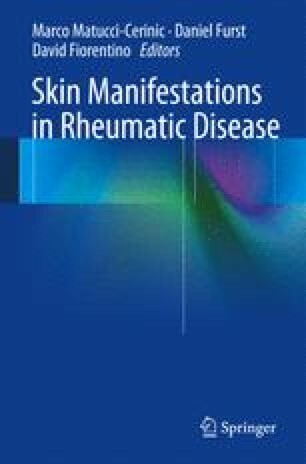 Chilblain lupus is a typical, albeit rare, form of chronic cutaneous lupus erythematosus. With its name derived from similarities to chilblains (perniones), these painful, bluish-red acral manifestations usually do not pose major diagnostic difficulties, with differential diagnoses including true perniones, lupus pernio (sarcoidosis), and ischemia. However, recent findings, linking familial chilblain lupus to TREX1, and thus the innate immune system, have had significant impact on our understanding of the disease. Therefore, this chapter will not only review the clinical side, but also our current understanding of the pathogenic events preceding disease. We thank P. Wissel, J. Bückmann, and Professor T. A. Luger, University Muenster, Germany, for providing the clinical figures.